On 15 January 2018, the Ministry of Foreign Affairs was informed by the Royal Thai Embassy in Colombo, while simultaneously received the alerts from the Directorate-General for Maritime Affairs and Fisheries (DG MARE) of the European Commission and the INTERPOL, that on 11 to 12 January 2018, the Maldives Coast Guard had detained the Somali-flagged fishing vessel “Chotpattana 55” with 10 Thai crews on board, along with fishing vessel “Chotpattana 51” with 12 Thai crews respectively, on charges of illegal entry into Maldives waters. Each vessel contained 200-ton catch, and there was evidence that both vessels could be stateless. The two aforementioned fishing vessels had connections with another fishing vessel titled “Chotchainavee 35”. Previously on 2 May 2017, the Thai authorities, namely the Command Center for Combatting Illegal Fishing (CCCIF) and the Royal Thai Police, intercepted the Djibouti-flagged “Chotchainavee 35” while heading into Thai waters. The interception was due to the in-depth information received from a New York Times journalist who has been keeping track of these vessels for quite some time since they have been suspected of conducting illegal fishing in Somali waters. After the inspection, the Thai authorities found 448 tons of catch which was well over of the 270 tons quota granted in the fishing license by the Puntland authority of the Federal Republic of Somalia. Moreover, the vessel operator failed to provide clear evidence that the catch on board was obtained legally within the deadline. Thus, the Department of Fisheries subsequently issued an order to confiscate the vessel, its catch and all assets on board on 27 July 2017. On 30 July 2017, the Department of Fisheries filed charges against “Chotchainavee 35” with reference to Article 94 of the Royal Ordinance on Fisheries B.E. 2558 (2015) and its revision B.E. 2560 (2017), which states that no person shall bring a non-Thai fishing vessel that has undertaken illegal, unreported and unregulated (IUU) fishing into the Kingdom, those contravening will be liable to the maximum fine not exceeding 30 million Thai Bahts. At present, the Department of Fisheries is in the process of distributing the seized aquatic animals or the aquatic animals products from “Chotchanavee 35” to impoverished or under privileged members of the public, which is in accordance with Article 96, Paragraph 3 of the Royal Ordinance, and would put the vessel and its properties up for auction. Furthermore, the Thai authorities are in process of prosecuting the owner of “Chotchainavee 35”. It is notable that the vessel is currently stateless since Djibouti has revoked the vessel’s registration since 1 June 2017. As for the linkage between the three fishing vessels “Chotchainavee 35”, “Chotpattana 51”, and “Chotpattana 55”, they were formerly Thai-flagged, and belonged to the same operator owned by a group of Thai nationals. Later on, these three vessels gave up its Thai registration and obtained Djibouti flags to fish in Puntland which is part of the Federal Republic of Somalia. The three vessels are part of the fishing fleet that the Thai authorities, in cooperation with the Interpol, has been monitoring their fishing and the use of labour aboard for months. In addition, the Thai authorities has issued a notice seeking cooperation from other countries, in case these vessels are found, in keeping track, running the vessel inspection and documents check, as well as interviewing the crews. “Chotpattana 51” and “Chotpattana 55” were eventually captured by the Maldives authorities. In addition to the ownership linkage, another connection among these vessels were found when it was discovered that some crews registered with “Chotpattana 55” were found on board “Chotchainavee 35” upon returning to Thailand. According to the interrogation of the Cambodian crews on “Chotchainavee 35”, there were Cambodian and Thai crews on board “Chotpattana 51” and “Chotpattana 55”, which were then in Somali waters, needing assistance to return home due to, according to their information, the poor condition of living on board. The Royal Thai Government then reached out to the Government of Cambodia and the Government of the Federal Republic of Somalia, as well as the International Organization of Migration (IOM), to provide assistance to the crews. Eventually, all 18 Cambodian crews were rescued and returned to their home country on 11 September 2017, and 35 Thai crews were able to return to Thailand on 13 November 2017. However afterwards, the captains took the vessels with the 22 remaining Thai crews out of Somali waters, and subsequently all were captured in Maldives waters on the initial charge of illegal entry into the Maldives. The Royal Thai Police has conducted further investigation on the Thai crews upon their arrival in Thailand. The Cambodian Government also kindly cooperated in conducting additional interrogation with the Cambodian crews. Furthermore, on 17 January 2018, Thai police officers and officials from the Department of Fisheries traveled to the Maldives to take part in observing the interrogation of the captured crews with Maldives police’s cooperation, as well as to inspect the vessel and the catch with the Interpol team for any evidence of illegal fishing and the use of forced labour. Officials from the Royal Thai Embassy in Colombo also acted as interpreters during the interrogation. Since their capture, the Royal Thai Embassy in Colombo has provided consular assistance and procured necessary supplies to the crews of “Chotpattana 51” and “Chotpattana 55”. The Royal Thai Embassy has also coordinated closely with Maldives authorities in an attempt to bring all the crews back to Thailand. As of now, the Maldives police has completed the interrogation of the captains and all crews of both vessels, but still pending the legal order allowing all the crews to return home. 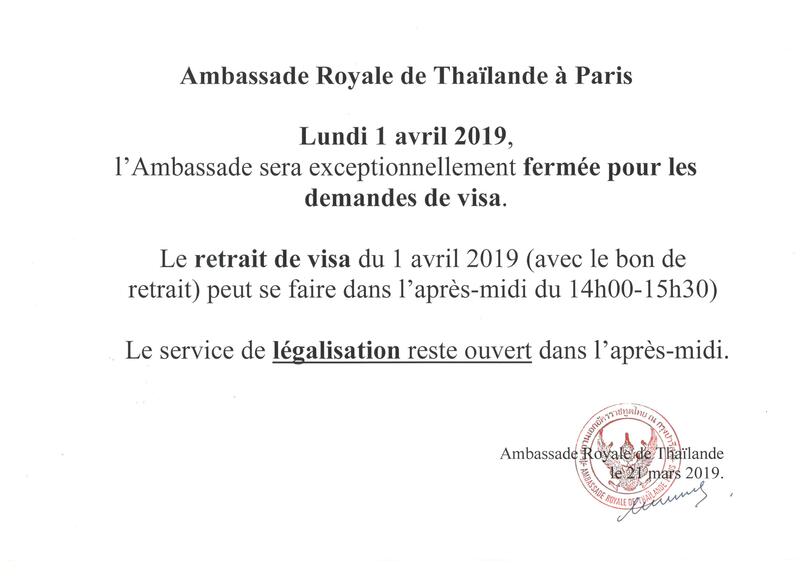 In the meantime, the Royal Thai Embassy has already begun the process for the repatriation of the 22 crews which will commence as soon as the legal process is completed. However, the prosecution of the ship captains, and the decision on the vessel and the catch are subject to the Maldives authorities. The Royal Thai Government wishes to extend its appreciation to all concerned agencies, including the New York Time journalist, DG MARE, Interpol, non-profit organizations such as SkyTruth, Trygg Mat Tracking (TMT), Catapult network, as well as Greenpeace, IOM, the Government of Cambodia, the Government of the Federal Republic of Somalia, and particularly the Government of the Maldives for their close cooperation that enables the crews wishing to return home to arrive home safely. To date, there are 21 crews remaining in the Maldives (one of the crews was sent home on 27 January 2018 due to sickness and stress), and the Royal Thai Embassy in Colombo is closely following up on their well-being and ready to provide any necessary assistance to them. The progress made so far clearly demonstrates the determination of the Thai authorities in strengthening law enforcement and closing any existing legal loophole in the past which enabled wrongdoers to benefit from gaps in the law. For instance, at present, Article 8 of the Royal Ordinance on Fisheries B.E. 2558 and its revision B.E. 2560 states the penalties for all Thai, non-Thai, and stateless vessels associated with Thai beneficiaries, thus enabling the Thai law enforcement authorities to pursue the prosecution, in line with the international Agreements and Conventions related to fisheries conservation and management by which Thailand is obliged. As the result, this prevents Thai fishing operators to undertake illegal fishing under foreign flags in order to avoid Thai strict fisheries law and regulations. In addition, the Marine Department issued the Announcement prohibiting the transfer of ownership and the revocation of Thai-flagged vessel registration while being prosecuted to ensure that the said vessel remains under the authority’s control until the case has come to completion, and to prevent the revocation of vessel registration and reflagging of vessels to other nationalities to continue fishing. Thailand, as a party to the Port State Measure Agreement, has fully implemented its obligation under Article 95 of the Royal Ordinance on Fisheries B.E. 2558 and its revision B.E. 2560 in designating 22 ports for foreign vessels, and imposing stricter control measures by requesting all foreign vessels, with or without aquatic animals, entering Thai territory to give advance notice to the Thai authorities for an entry into Thai waters in accordance with the timeframe announced by the Department of Fisheries. The Thai authorities will inspect vessels that offload their catch at Thailand-designated ports and coordinate with the relevant countries to verify the authenticity of documents. Moreover, Thailand will cooperate with other countries and Regional Fisheries Management Organizations to keep track on vessels suspected of engaging in illegal fishing. In conclusion, the Royal Thai Government would like to emphasize that, whether the vessel is owned by foreigners, or non-Thai flagged, or owned by Thai nationals but non-Thai flagged, Thailand is implementing much stricter measures on monitoring vessels entering and departing Thai territorial waters than in the past. Thailand will continue to apply the full use of law enforcement in all cases in our unwavering move towards IUU-free and forced labour-free Thailand.